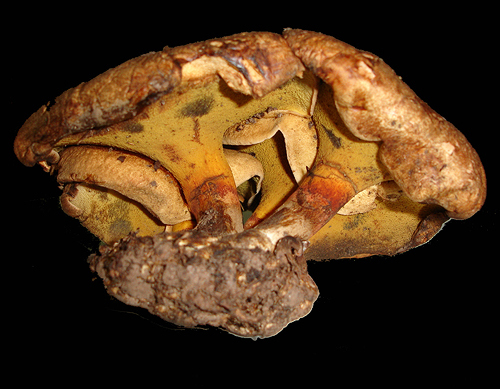 The only European member of this genus is usually easily recognized due to the combination of its overall appearance, very short tubes and small broadly ellipsoid spores, as well as for its mycorrhizal association with alders. Gyrodon lividus (Bull. : Fr.) P. Karst. 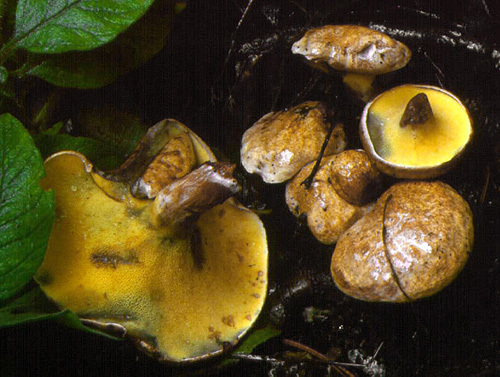 Fruitbodies often caespitose. Cap up to 7 cm, at first hemispherical then expanding to convex or flat-convex, whitish, cream, pale ochraceous, pale buff to buff, pale yellowish brown, pale cinnamon, sometimes almost grey, often with reddish tints, sometimes rusty spotted, viscid especially in wet weather, otherwise dry, smooth or felty, sometimes scaly. Stipe often eccentrically attached, cylindrical or spindle-shaped and usually tapering towards the base, mostly cream or yellow, often in places with rusty to brownish tinges. 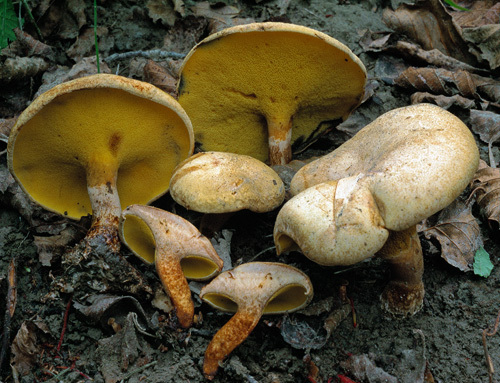 Flesh cream in the cap, yellowish to orange-yellow in the stipe, usually brownish in the stipe base, blueing in the cap and unchanging in the stipe when exposed to air. Tubes very short, not exceeding 5 mm, yellow to bright yellow when young, later with some olivaceous tint, decurrent (going down the stipe), blueing when exposed to air. 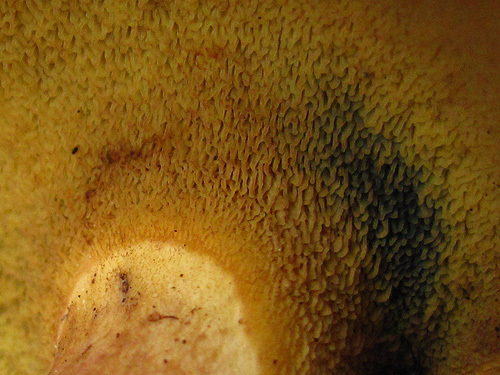 Pores yellow to bright yellow when young, later with some olivaceous tint, blueing when bruised. Smell not distinctive. Taste not distinctive. 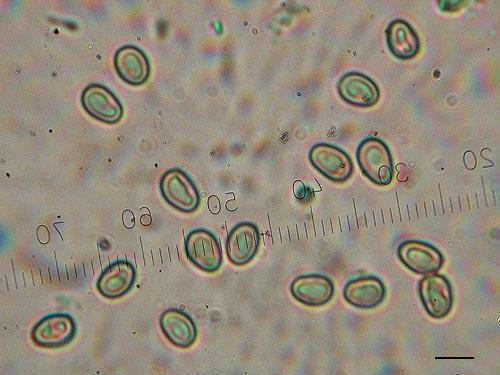 Spores 5–8 × 3.5–4.5 μm. Habitat. In a variety of habitats, where its mycorrhizal trees, alders (Alnus), are present.